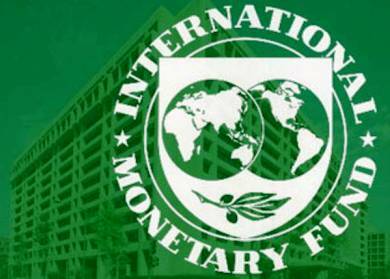 The International Monetary Fund on Tuesday said the Greek economy will grow by 2.6 pct in 2018, up from a 2.4 pct growth rate estimate envisaged in a draft budget plan tabled to Parliament by the Greek government last week. The IMF expects the Greek economy to grow 1.8 pct this year. In its annual report, the IMF said, however, that the dynamism of the Greek economy will gradually weaken with the economy expected to grow by only 1.0 pct in 2022. The European Commission forecasts that Greece will grow by an annual rate of 1.5 pct in the period 2021-2014. The IMF, in its World Economic Outlook report, said that the unemployment rate will fall from 22.3 pct this year to 20.7 pct in 2018, while the inflation rate will rise to an average rate of 1.3 pct in 2018 from 1.2 pct in 2017. The IMF revised upwards its estimates for the world economy, with the global GDP rising 3.6 pct this year and to 3.7 pct in 2018 (3.5 pct and 3.6 pct, respectively, were the previous estimates).